As the GDPR is the most important data protection change for European residents, find out in this guide all you need to know about this program. 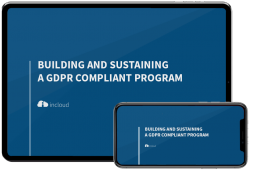 In this guide, we will explain you what is GDPR, what are its key privacy principles and how you can implement a GDPR Compliance Program. Then, for every Salesforce platform you are using (Salesforce CRM, Pardot, Marketing Cloud, Sales Cloud, Service Cloud, Commerce Cloud), we will give you the best practices and show you how to answer to every customer request. Still curious about the GDPR? Don’t hesitate to contact us if you have any questions or concerns about how the GDPR can affect your journey towards becoming a customer magnet!